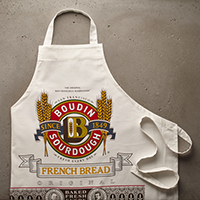 Tote - Boudin Logo Eco Friendly Reusable Bag. 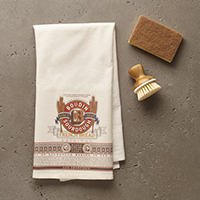 Our signature medallion kitchen flour tea towel set. 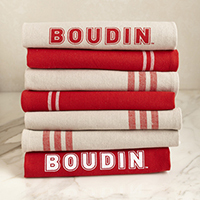 Our newest signature logo kitchen towels in a stylish, vibrant red linen or Khaki. Made with 100% cotton and machine washable. 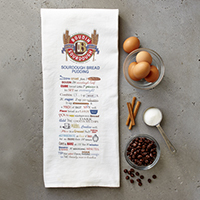 Enjoy a festive, family favorite recipe of Sourdough Bread Pudding on a signature Boudin kitchen towel. 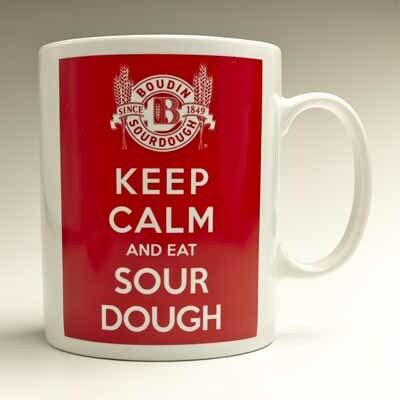 Keep Calm and eat Sourdough Boudin Logo Porcelain 11.2 oz Mug. 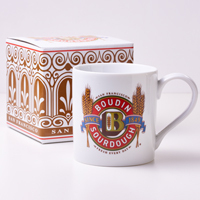 Boudin Signature double-wall insulated 18 FL OZ stainless steel water bottle. Keeps beverages cold for up to 24 hours and hot up to 12 hours. 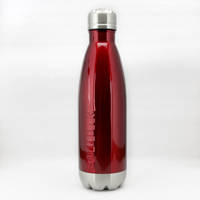 Non-toxic, non- leaching and BPA free. Hand wash. Do not microwave. 2.75" x 10.25" size. 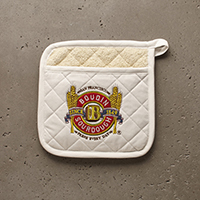 Boudin Cutting Board - a welcome gift for your favorite chef. 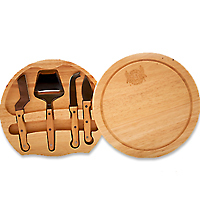 Knife and bread not included. No more crumbs! 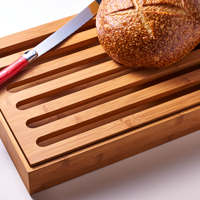 Cut your sourdough on the bamboo slotted surface and catch all the crumbs neatly below in the bottom tray! Knife and bread not included. 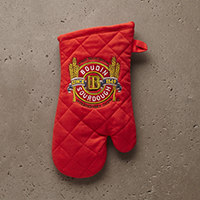 Gift Tin-Red Boudin Logo w/Handle. 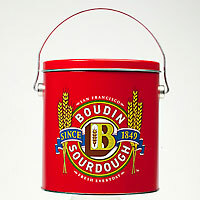 This Custom Red Boudin Tin is a nice accompaniment to any of our Gift selections.